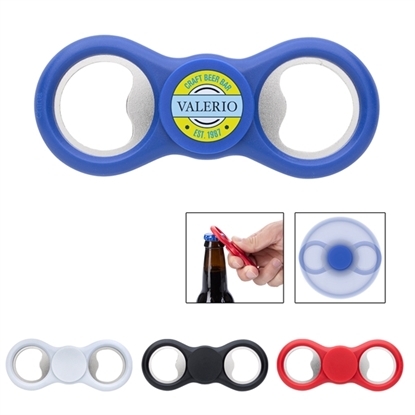 Make the competition dizzy while reducing stress and boredom for recipients with this fun spinner bottle opener! Made of metal, it measures 3 1/2" and can be spun between the thumb and middle finger. It's perfect for high-anxiety individuals and encourages focus and self-soothing for users with attention disorders and other stressors. 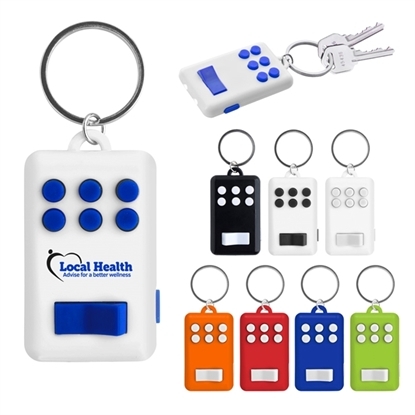 It's available in multiple product colors and can be customized with your company name, logo and marketing message to create a multifunctional advertising tool! 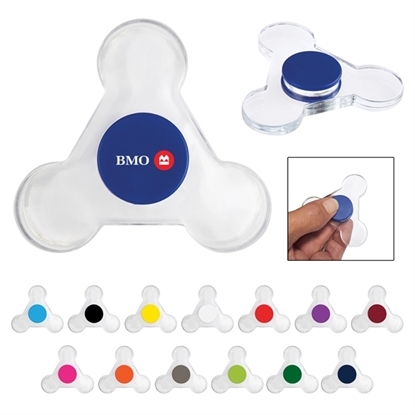 Add some entertainment to your advertising campaign with this fun spinner max! Hand out enjoyment for all ages (5+) with this toy that spins between the thumb and middle finger. It's perfect for reducing stress and boredom by encouraging focus and self-soothing for users with anxiety, attention disorders and more. Just add your company's name, logo and marketing message to it and recipients will get used to seeing your brand in their hands! 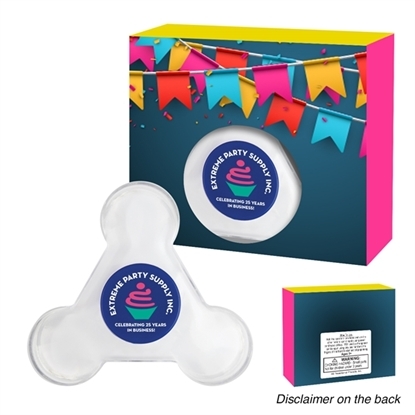 Encourage new and potential clients to try your brand with this budget fun spinner with custom box! The toy includes a one to four color/one location imprint and the gift box features a four color process imprint of your company's name, logo or marketing message. This is a great way to reach out to new areas of your target audience, whether it is children, college-age students or adults. It's perfect for reducing stress and boredom by encouraging focus and self-soothing for users with anxiety, attention disorders and more! 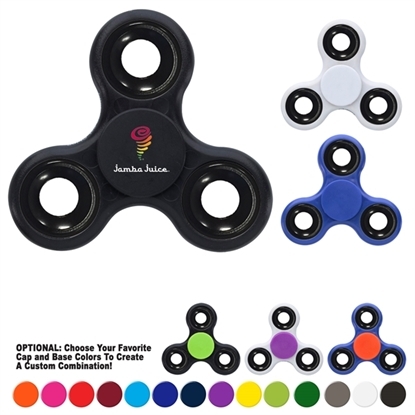 Encourage new and potential customers to interact with your brand when you hand out this budget fun spinner with custom window box! The toy includes a one to four color/one location imprint and the gift box features a four color process imprint of your company's name, logo or marketing message. This is a great way to reach out to new areas of your target audience, whether it is children, college-age students or adults. It's perfect for reducing stress and boredom by encouraging focus and self-soothing for users with anxiety, attention disorders and more! 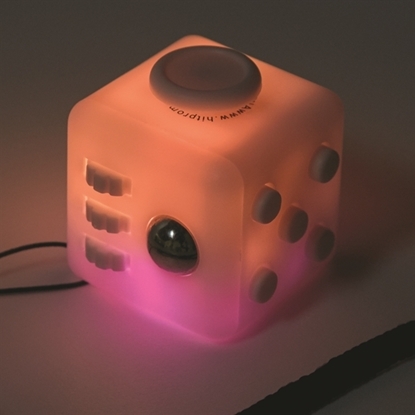 Let customers know you offer only the best when you give them this light up fun cube! This is a toy that's perfect for reducing stress and boredom and can be used as self-soothing for users with anxiety, attention disorders, and more. It features a wrist strap, multi-color flashing LED lights, a flip switch to turn on and off, and recipients can flip, click, glide, and roll it all they want. This is great for all ages (5+). Show customers that your brand knows all about having fun! Mypromotionalpens.com offers the largest and best priced selection in Promotional Executive Toys. We will price compete and we won't be under sold. Let our graphic designers make your personalized Executive Toys standout above the crowd at no charge. We won't stop until you are completely satisfied with your custom Executive Toys art proof.Use category search filters on your left to help narrow your search to find exactly what you are looking for.